Lunch served between 11am to 3pm. Delicious Vegetarian and Non-Vegetarian options! We do catering for all occasions! Free Delivery from 11:00am to 9:30pm! 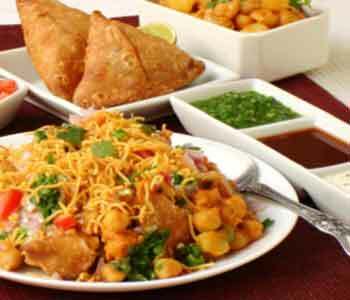 Delicious vegetable samosas with chick peas smothered in mouthwatering sauces. An Indian classic, packed with so much flavor. Always a crowd pleaser! 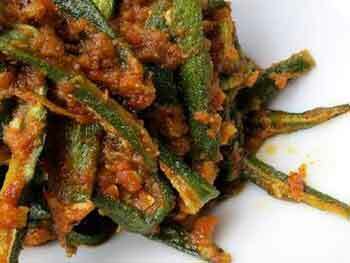 The perfect vegetarian option, a huge hit with both vegetarians and non-vegetarians alike. 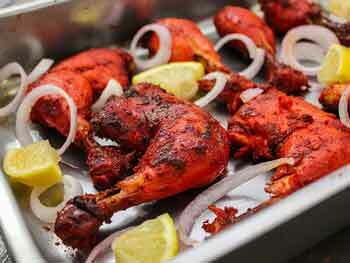 Swagat is an authentic Indian Restaurant conveniently located in Midtown, Manhattan. 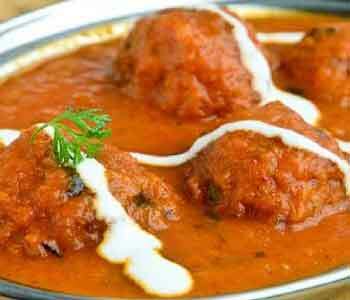 Swagat offers a wide selection of all types of authentic Indian cuisine. From mouthwatering appetizers to delicious tandoor specials and our always popular rice specialties, our delicious Indian food is so rich in flavor that it is sure to leave you coming back time and time again. We have great vegetarian options to ensure that everyone in your party leaves satisfied. Our delicious mango lassis are the perfect addition to any meal. Swagat provides a comfortable and unique dining experience. Whether it’s the chicken tikka you’re craving or our delicious lamb curry, Swagat has just the thing to satisfy all your cravings. 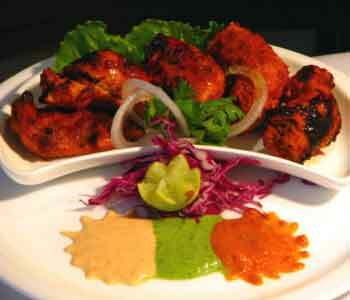 Swagat offers delicious combination platters which provide the perfect mix of flavor. 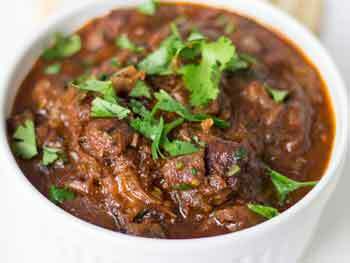 Our lamb vindaloo is a delicious lamb cooked with potatoes in a Spicy Sauce, definitely worth trying. From our appetizers to our desserts, Swagat’s emphasis on flavor and quality is unparalleled. Our menu features classic Indian dishes packed with flavor that are absolutely irresistible. ”Ordered the lunch combo - you get a naan, a protein, a veggie and rice. Everything was great - pretty flavorful. I think they can use a heavier hand with the spices but this is an awesome deal for 8.95. Best part? Being able to order samosas by the piece.In all I'd say this is a nice little no frills spot for Indian food. Oh and last note - this is a self serve place as in you grab a tray and seat yourself. There are no servers here. " -Lillian P.
”I grew up in India and have lived there for 25 years, and so, I often miss simple, non-greasy, home-style cooking. So I was so glad to find this place just two blocks from my office - what a treat! What this place is: - Awesomely affordable: Lunch for $7, including naan, rice, salad, 2 veggies and daal. Wow! - Quick: I don't have time at lunch waiting for my food to be cooked specially for me. The lunch 'buffet' deal works for me. Though, if you want to order a-la-carte, that option is available too... - Friendly: I've never once had a bad experience with service, or even overheard them talking rudely with a customer. And I'm there a couple times a week. What this place is not: - Fancy: You want fancy decor with your $7 lunch that's not an overpriced sandwich? Really? - Westernized: If you're going to judge every Indian place by their chicken tikka masala (because that's the only Indian food you know) this is probably not the place for you. Look around here, and you'll see a lot of Indians that come here to get home-style food, not 'curries' or greasy gravies. This is Indian food cooked for Indians. 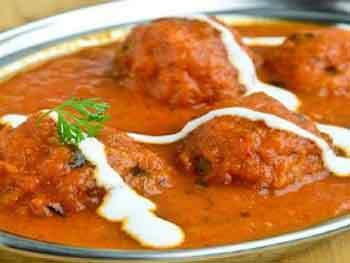 Next time try the Dahi Vada (lentil balls in yogurt) or the black daal - you'll be pleasantly surprised. Anyways, I'm glad this place is around, because it's the only reasonably healthy Indian place in this neighborhood where I can get a semblance of home-style food, and that's just awesome. " -Kunal G.
”Pros: Descent food, especially for ready made style. Large portions for a fair price. Friendly staff. Add variety to the surrounding pubs, pizza parlors, sandwich shops, and Japanese restaurants. Cons: N/A" -Ju L.
”Great little lunch place! Ordered the lunch combo - you get a naan, a protein, a veggie and rice. Everything was great - pretty flavorful. I think they can use a heavier hand with the spices but this is an awesome deal for 8.95. Best part? Being able to order samosas by the piece! In all I'd say this is a nice little no frills spot for Indian food. Oh and last note - this is a self serve place as in you grab a tray and seat yourself. There are no servers here." -Lillian P.
”Happen to pass by and was in mood for Indian food. The place was clean and staff very welcoming. The food was good and not so pricey." -Linda D.
”Tried their lunch special - great price and good portion! And its a huge bonus that they are not super salty! Will def choose them again!" -Kate Z. ”Just had the non-vegetarian combo, it was on point. I see a lot of other bad reviews, maybe the cook was in a good mood today but I've had bad Indian food before and this was delicious. Had the chicken tikka masala, eggplant, daal and naan. Everything was hot and delicious." -Josh B.